The Avalon Hotel is a feng shui-certified design hotel located in the heart of Gothenburg. Marvel at the unique lighting and design features that create a truly unique atmosphere all throughout the hotel. This is a cash-free hotel. 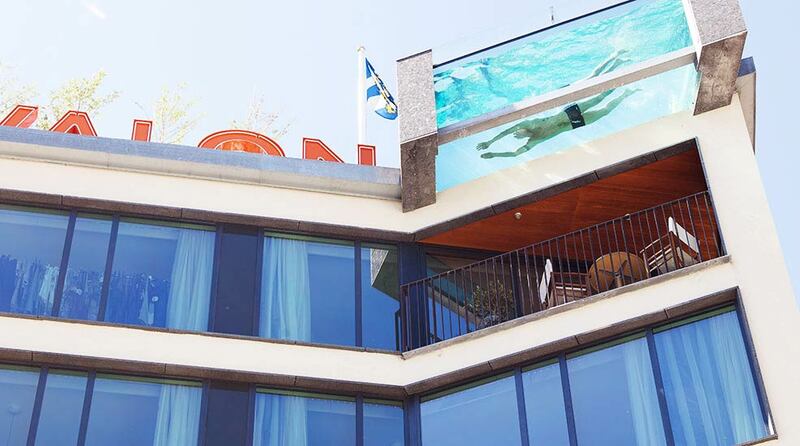 The Avalon Hotel is a feng shui-certified design hotel located in the heart of Gothenburg. Marvel at the unique lighting and design features that create a truly unique atmosphere all throughout the hotel. This is a great place to come for both business and leisure travellers. Avalon Hotel has been built with inspiration from densely populated cities such as Los Angeles, Milan, New York, Madrid and Paris. We are feng shui certified and the architecture sets the tone just as much as the great city location. The interiors, lighting, aromas and sound are equally as important as our excellent service and delicious food and beverages. The hotel's 101 rooms and 202 beds also play a vital role in your experience here. We want your stay to be memorable. Avalon Restaurant & Baroffers seasonal dishes of the best international quality that are perfectly suited to our carefully-selected wines, which are served both by the glass and by the bottle. For several years, our bar has been named one of the best bars in the White Guide, thanks to our talented bartenders, who are not afraid of experimenting with exciting flavours. Avalon Outside, our outdoor bar, is open during the summer and offers a wonderful mix of guests. For smaller groups of connoisseurs, we recommend booking a visit to our wine room. During the summer months (May – September), access to our roof terrace with pool is free for all hotel guests from 12 noon – 6pm (by reservation when the terrace is booked up). The terrace has towels, sun loungers and umbrellas. Bathrobe and slippers are in your room, bring your own swimsuits. The pool has a temperature of about 25 degrees and is clad in mosaic with a belt of 24-karat gold, to bring you happiness and prosperity according to the teachings of feng shui. A portion of the pool floats freely and is visible from Kungsportsplatsen. The pool bar is staffed from midsummer until mid-August and at other times, you can call and order drinks from the bar on the ground floor and we'll bring them to you. Naturally, the hotel's philosophy is infused in the design of the rooms. Regardless of room category the interior is welcoming, the architecture functional and Egyptian cotton adorns the beds. 24 of the rooms have an open-plan bathroom and 3 of our rooms have a private, compact gym. From the 6th floor and up, the skies are included for you at no extra cost. Find out more about our room types here. Avalon Hotel loves all forms of relaxed meetings. For like-minded souls, we recommend one of our two meeting rooms, or why not both? They can be divided or combined and can accommodate up to 40 people. Or you could really push the boat out for the conference and book our penthouse suite. If you meet after 6pm, the roof terrace and pool is all yours too! Find out more about our meeting and event options here . From 1 September 2016 we will be a completely cashless hotel. This means we will only accept payment by card. This applies to all our facilities, including the restaurant and bar. See you soon at Gothenburg and Avalon Hotel. Take the bus or tram to Kungsportsplatsen. Walk 50 meters to the hotel. Take the shuttle bus "Flygbussen" to Kungsportsplatsen. Walk 50 meters to the hotel. We recommend Taxi Göteborg, telephone +46 31 65 00 00.